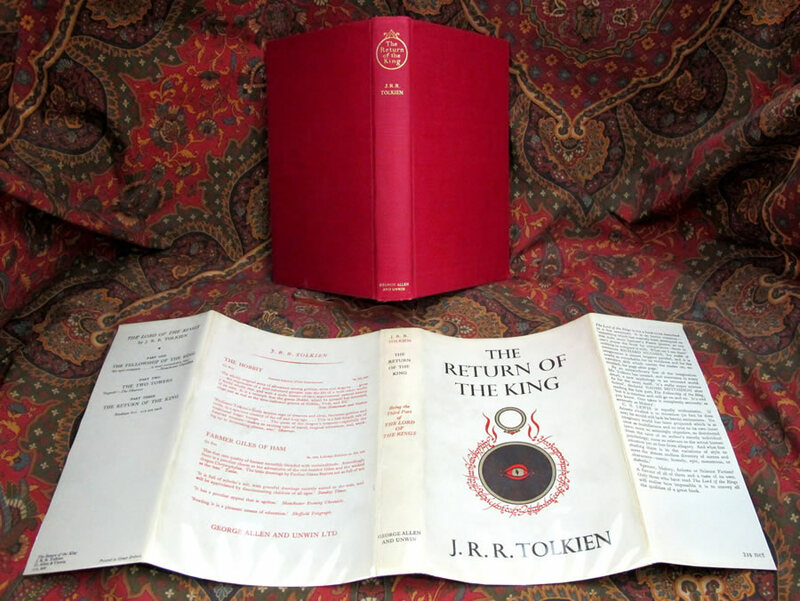 Published by George Allen & Unwin, 1954/54/55 1st UK Edition, 1st impressions. 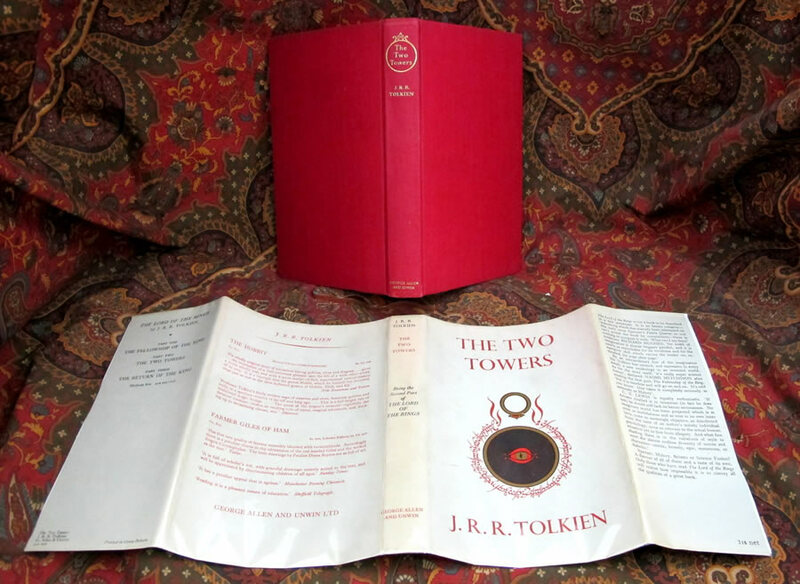 The Two Towers is a 1st impression published November 11th, 1954. One of 2250 printed for the UK. This copy is the 1st State, as per Hammon & Anderson, with the signature mark '4' and having the slipped type on page 49. 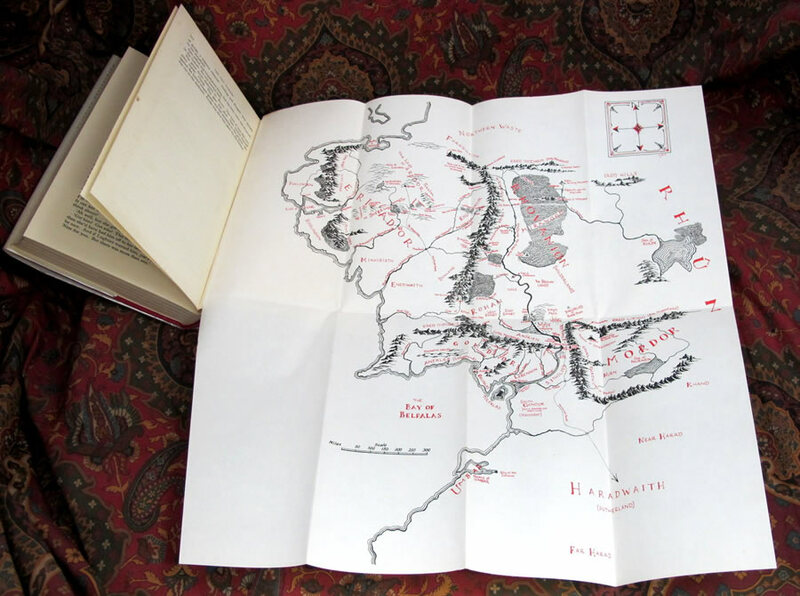 Correspondence with Wayne Hammond has indicated he has revised his original definition of the 1st state, from what was described in the Tolkien Bibliography, making this the later state. 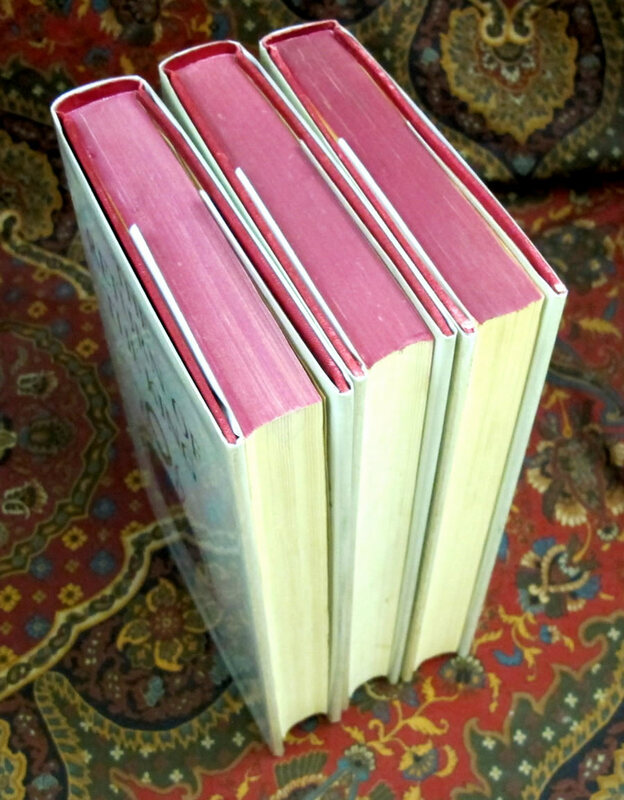 All three books are in their correct 1st impression dustjackets, in positively Near Fine condition. Only the lightest of soiling, no chips or loss, and positively no fading. None are price clipped, and show only the lightest of rubbing. 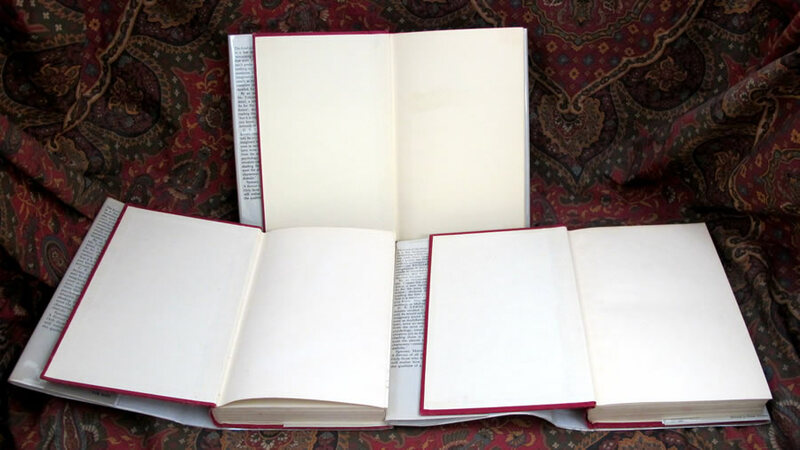 No foxing or offsetting on the endpapers, almost unheard of. The boards are clean and bright, without any tarnishing of the gilt, only the lightest of bumps to a few corners. 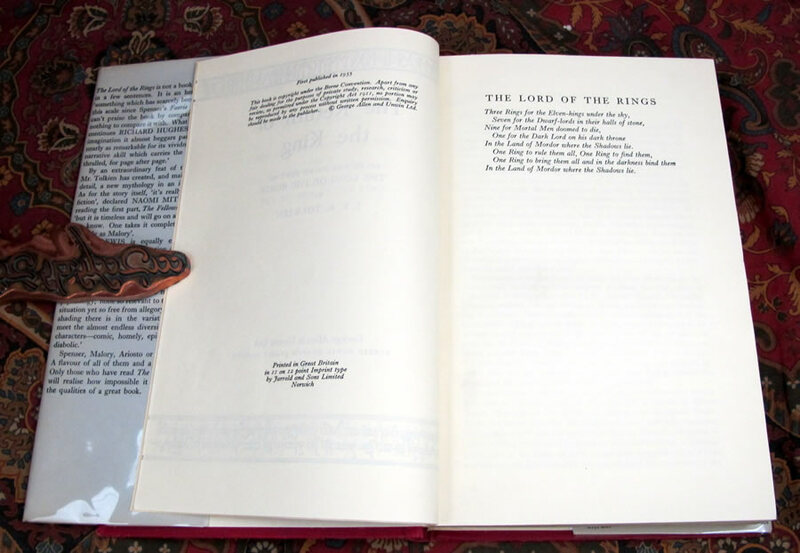 The text block is clean, bright and tight, without any internal foxing or markings. No previous owner's names or writing. 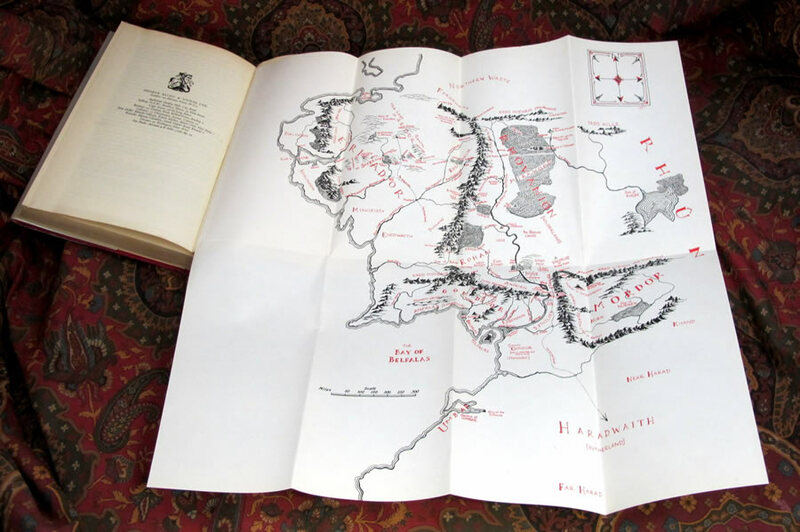 Original 1st State Maps in Near Fine condition, no extra folds, no tears, in all three books. 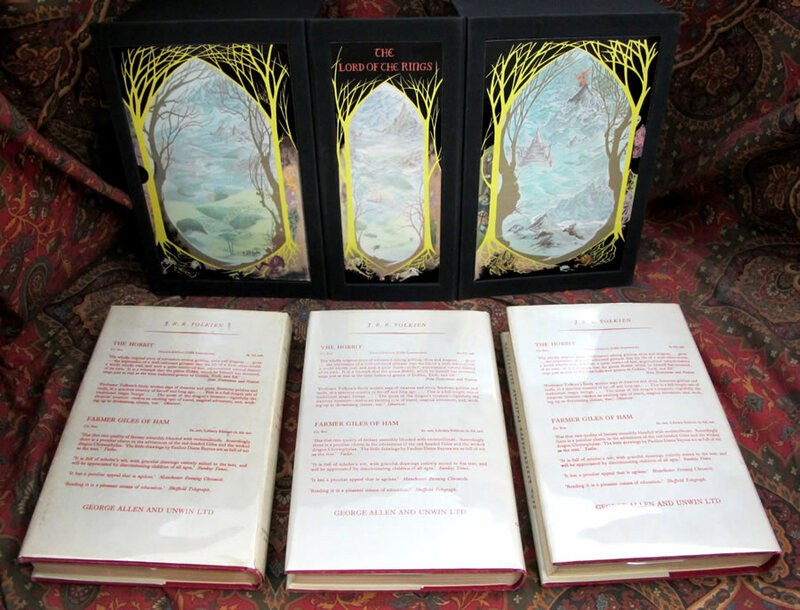 A beautiful, collectable set of first editions of this classic of fantasy literature. 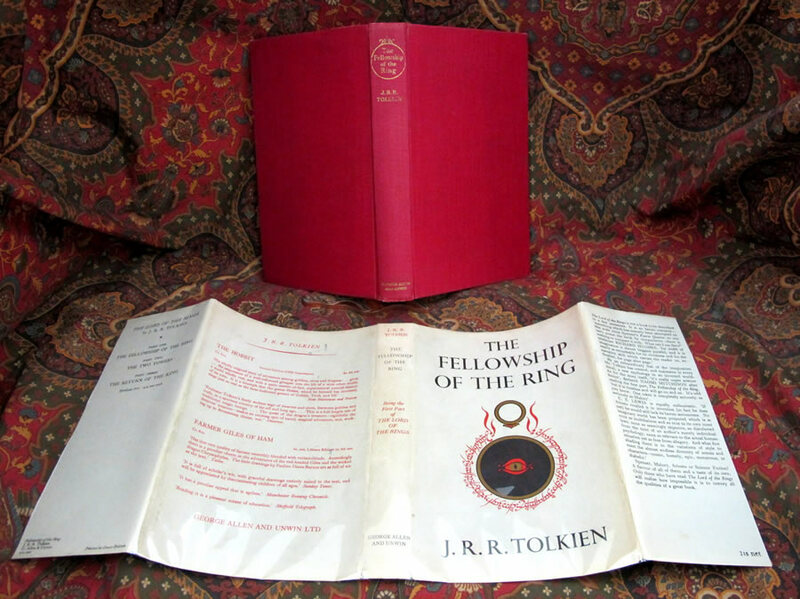 The Fellowship of the Ring is a 1st UK Edition, 1st impression with the book in Near Fine condition, with no writing and no foxing or offsetting on the free endpapers. 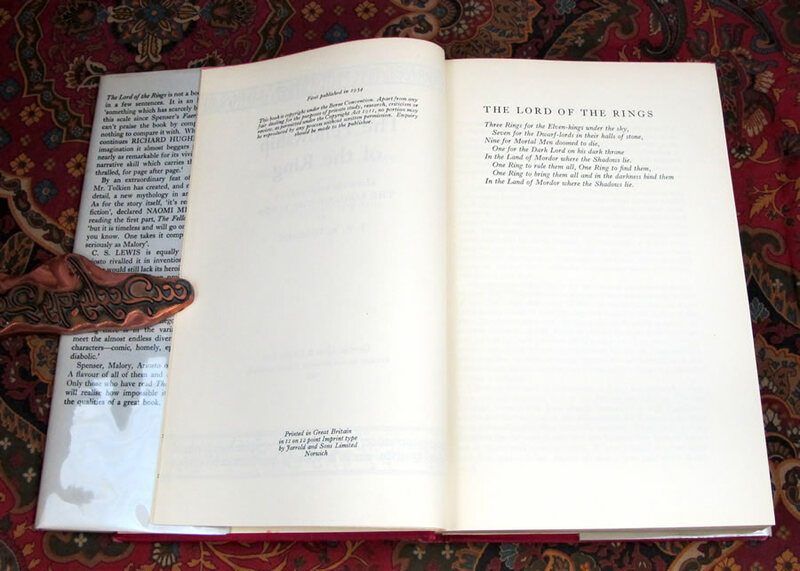 There is the faint shadow of an address label removal, to the front free endpaper, virtually invisible. 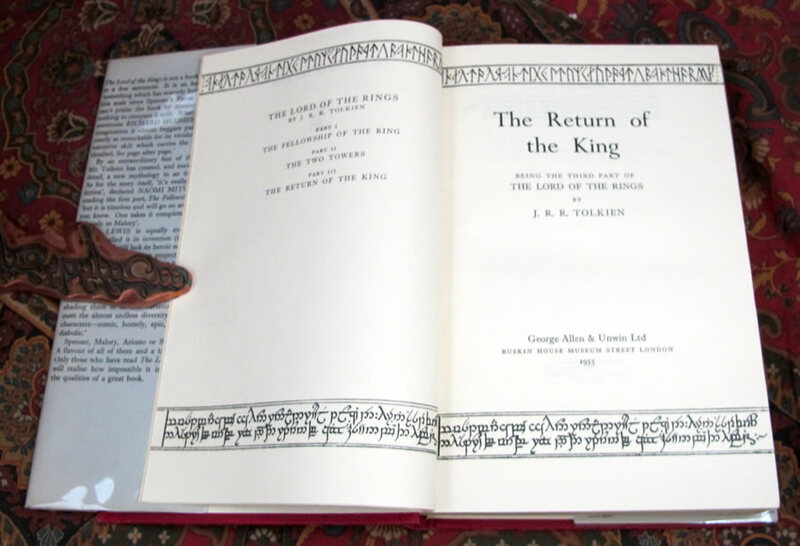 The gilt is untarnished on the spine, faintest of wear to the outer edges of the ring. The boards are very clean and bright, with the slightest shelf wear on the edges, no bumped corners. 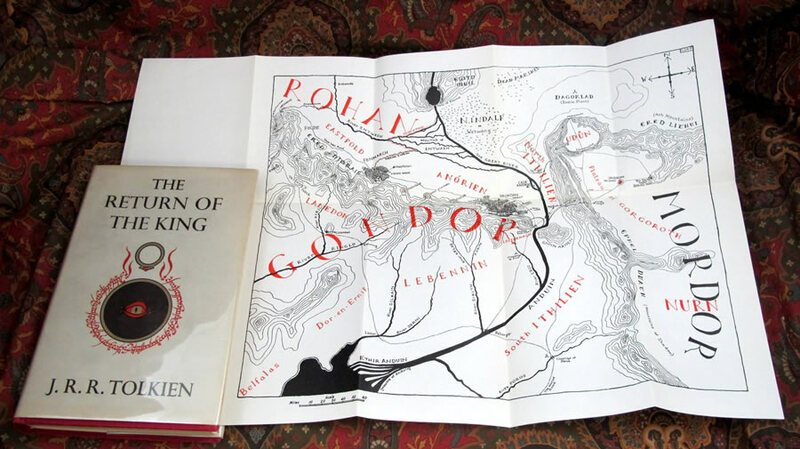 The dustjacket is unclipped and shows beautifully. 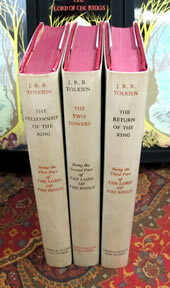 Positively no tanning of the spine and only light soiling, with some minor rubbing of the folds. A beautiful, correct 1st Impression 1st State dustjacket, lacking the blurbs on the rear flap. 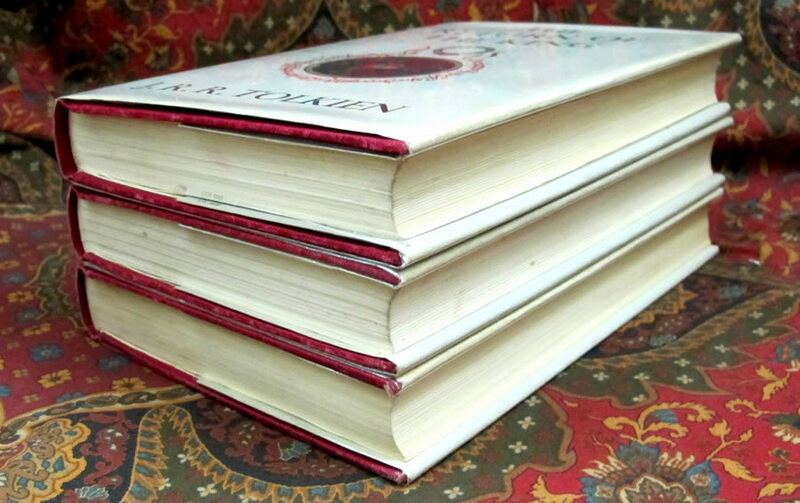 Uncommonly with no fading to the red lettering on the spine. 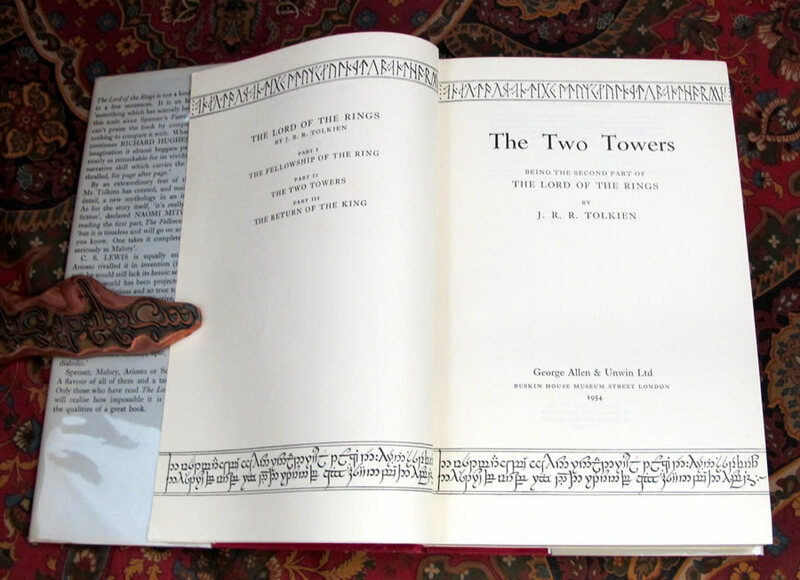 The Two Tower's - 1st UK Edition, 1st impression, has the date (1954) on the title page, which would indicate a true 1st imp. 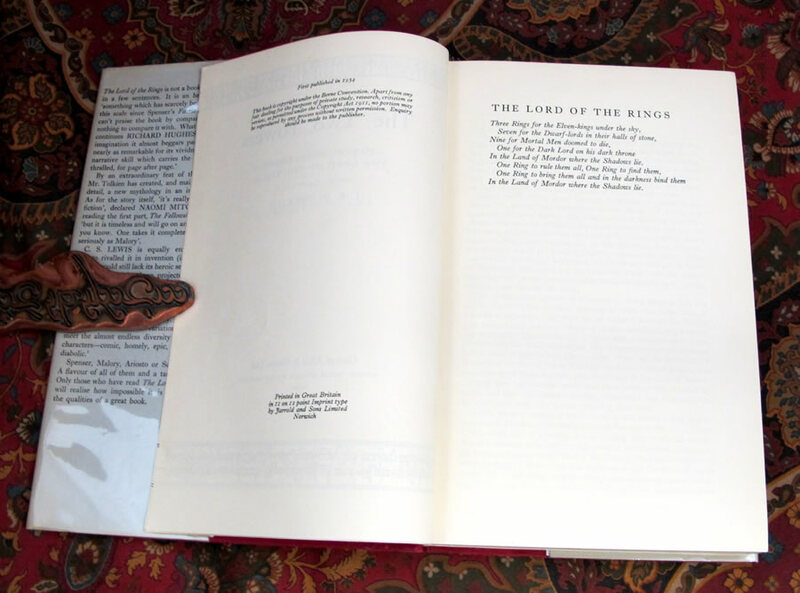 Book is in Near Fine condition. No names or writing or offsetting in the book. The boards are very clean and bright, no bumped corners. 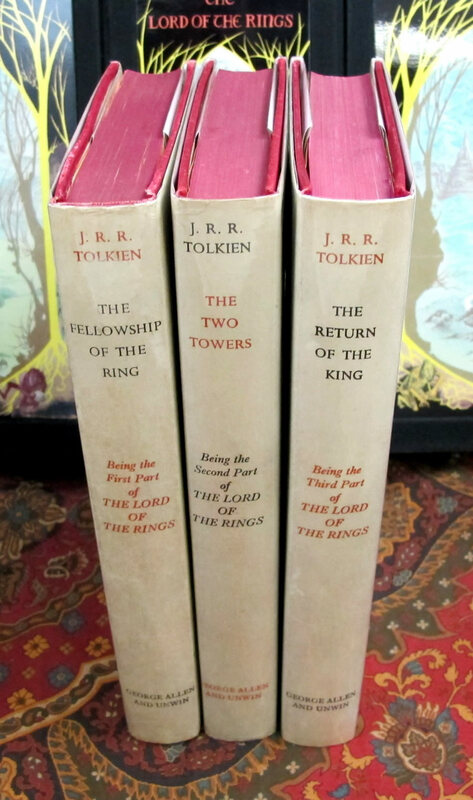 Shows very little shelf wear on the bottom edges, and no noticeable wear to the spine tips. Gilt is very bright and untarnished, looks new. 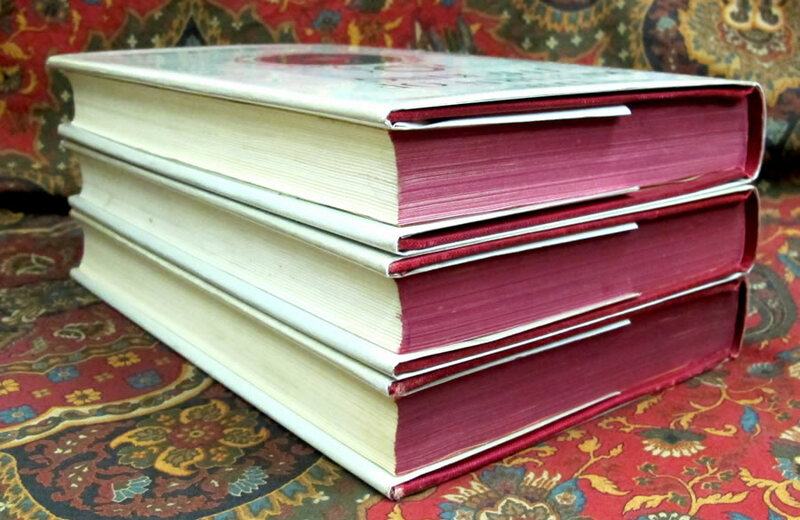 The dustjacket is not clipped, and has no tanning on the spine, otherwise is only lightly soiled, again with no fading to the red lettering on the spine. Only the most minor rubbing, with no chips or wear to the edges. A lovely copy, in its correct 1st impression dustjacket. 1st state with the infamous slipped type and signature mark '4' on page 49, as per Hammond and Anderson. Hammonds revised opinion now considers this the later state. No writing or previous owners name. 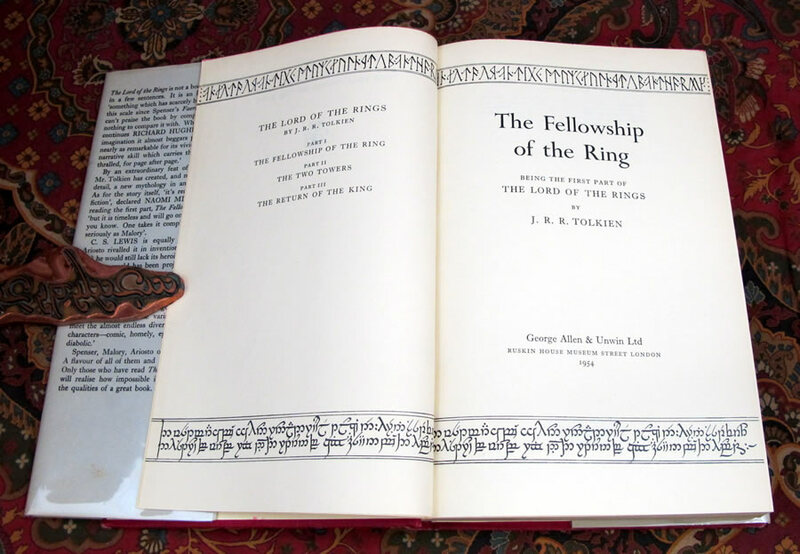 shows absolutely no tanning or fading to the spine, only the lightest of soiling from handling. A lovely example of the 1st impression book and correct 1st dustjacket. 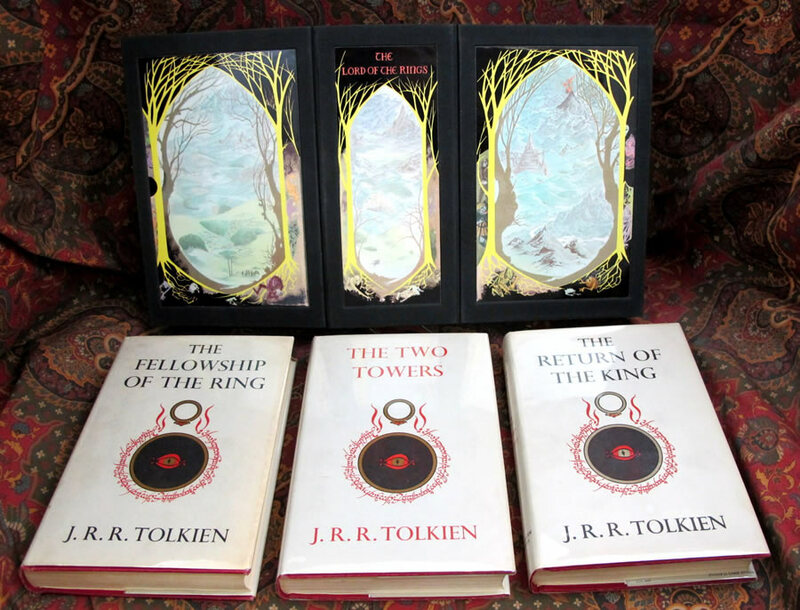 A fantastic set of First Editions of this classic of fantasy literature, with a custom clamshell case, reproducing the Pauline Baynes Triptych illustrations, to protect and house these 'precious' books.